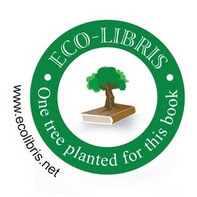 We continue with our Earth Day campaign - 41 Reasons to Plant a Tree for Your Book, where we share with you 41 reasons provided by readers in celebration of the upcoming 41st anniversary of Earth Day! 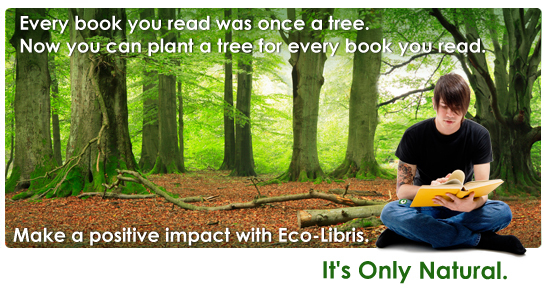 Thank you Sarah for sharing with us your thoughts on planting trees for your book! 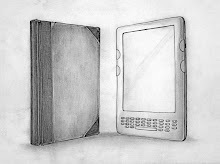 We want to mention again the great prizes we give away on this campaign, ourtesy of our partners. Winners can choose their prize from a great list of gifts including audiobooks from Simon & Schuster Audio (such as The Half Life by Jennifer Weiner, Left Neglected by Lisa Genova and Essence of Happiness by the Dalai Lama) and great books, like Planet Home by Jeffrey Hollender, Spit That Out! by Paige Wolf, Menu Dating by Tristan Coopersmith and The Healthy Home by Dave Wentz and Dr. Myron Wentz. You can see the full list of the prizes on the campaign's page. Every day we'll give further details on one of the prizes. 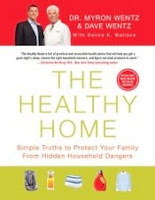 Today we present you with the audiobook The Healthy Home by Dave Wentz and Dr. Myron Wentz. The Healthy Home by Dave Wentz and Dr. Myron Wentz - In The Healthy Home, a father and son-Dr. Myron Wentz, well-known microbiologist and founder of the USANA Corporation, and Dave Wentz, CEO of the USANA Corporation--take readers on a tour of a specific home for a look at the surprising health risks posed by the everyday products and behaviors of a modern family. Beginning in the bedroom and ending in the garage and backyard, readers learn about the degenerative effects of toxins in the home and receive simple solutions to help minimize exposure without foregoing convenience. The Healthy Home is not a comprehensive tome on modern health hazards; nor is it a treatise on eco-conscious living. Instead, the book focuses on the most important environment--the home--and the problems that can most easily be lessened or eliminated. Busy parents who suspect that they should be doing more to protect their family but don't know where to start will learn about practical changes they can make in the next fifteen minutes, fifteen days, or fifteen months to create a haven for healthier living. where is the barnes and noble bankruptcy index? I have been watching it weekly.